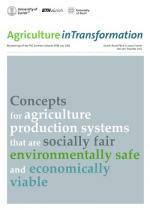 Future demand in agricultural output is supposed to match the needs of 9 billion people with less input of resources. 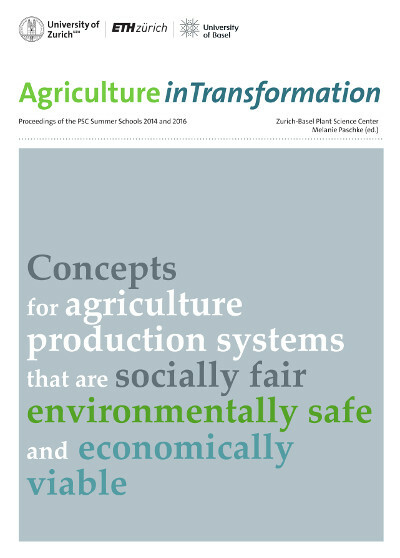 Can we transform our agricultural practices and move behind existing paradigms to develop innovative and sustainable agriculture production systems? The Zurich-Basel Plant Science Center explored new concepts for sustainable agriculture and food security in its consecutive summer schools: «Emerging Technologies» in 2014, and «Concepts for an Agriculture that is Sustainable in all Three Dimensions of Sustainability» in 2016. These proceedings bring together the voices and contribution of internationally renowned speakers and case studies and fact sheets elaborated by participants of the summer schools. Herausgegeben vom Zurich-Basel Plant Science Center (PSC) mit Beiträgen von Philipp Aerni, Gurbir Bhullar, Allan Buckwell, Markus Frank, Marcel van der Heijden, Hans Herren, John Ingram, Francois Meienberg, Michael Meissle, Melanie Paschke, Martin Schmid, Franziska Stossel, Raphael Wittmer and Gunda Zullich.